this milk is nuts! ... But no, really. 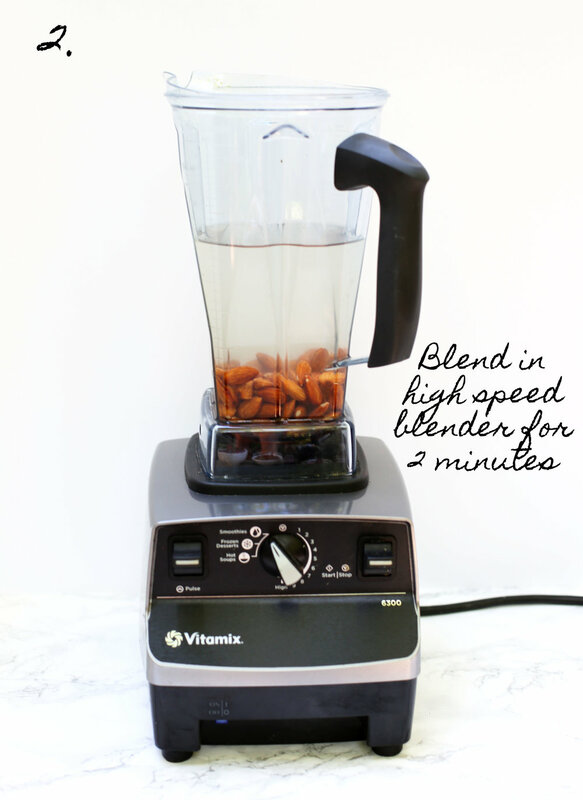 Trust us, once you make your own homemade nut milk, you'll never go back! Simple, healthy and surprisingly super rich, creamy and fresh. Ask the RD: should I choose almond milk over cows milk? lower in calcium, B12 and vitamin D, unless fortified - check the nutrition facts label to see if these have been added in! Store bought brands may have unwanted additives: many plant based food products may seem like healthier alternatives but, sometimes have replacement ingredients and fillers adding much more calories, fat, salt and sugars from the processing so make sure to read the nutrition facts and the ingredients! Bottom line: Nut milk alternatives can be a great substitute for weight loss! If you're going to skip diary, specifically cows milk, make sure you're purchasing a calcium vitamin D fortified brand or making up for its lack of some nutrients elsewhere by consuming other foods high in calcium and protein such as: dark leafy green vegetables, tofu, baked beans, chia seeds or quality calcium supplements with vitamin D. If you do choose to drink cows milk, we suggest reduced-fat, organic milk, which is untreated with hormones and antibiotics. Measured out 1 cup of raw nuts and put into an airtight jar. Cover the nuts with filtered water, just enough to submerge them completely. Cover jar and soak them overnight in refrigerator or at room temperature. RD Tip: Nuts or seeds must be raw and not salted or roasted for getting the highest nutritional value and flavor! You can even mix up your nuts! For example, try half almonds and cashews or half hazel and almond! RD tip: If you'd like to make a nut milk creamer for sauces, soups, coffee, or lattes, only add 2 cups of filtered water to get a much richer, creamer and higher fat milk. Pour nut mixture into a cheese cloth or nut milking bag. RD tip: I purchased my nut milk bag from Ellie's Best and I love it! If you like your milk kind of grainy and don't want to filter out the nutrient dense solids from the nuts or seeds, you can skip this step and drink your almond milk as is! This more grainy milk would be great in oatmeal or smoothies! Squeeze the nut milk into a large bowl. Squeeze and press until you've extracted all the liquid. RD tip: Save the extra nut pulp solids that is left in the nut milk bag! This is packed with plant based protein and nutrients that can be easily added to pizza crusts, energy bites, crackers, muffins or homemade bread! 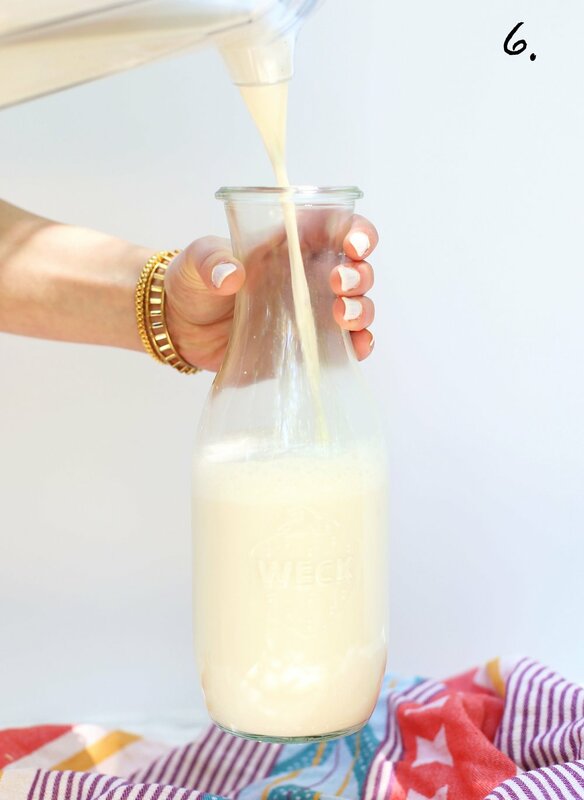 Once you've "milked" your fresh nut milk, which tastes phenomenal as is, have a taste first but, consider adding flavorings or a sweetener of your choice to customize it! Add the nut milk back into the blender with any of these suggested flavors of your choice and blend for an additional minute. Transfer the nut milk to an airtight container and refrigerate until chilled, at least 30 minutes. Stir or shake before serving. Fresh nut milk lasts for about 5 days refrigerated. Reboot and Enjoy!